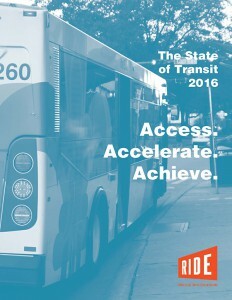 Ride New Orleans released the third annual State of Transit in New Orleans report on August 29, 2016. The report hails important progress in the last year, but warns that our transit service still has many challenges to overcome. Foremost among those challenges is providing reliable transportation options for residents who need to rely on transit some or all of the time to get to work, school, or other important destinations. The report compares access to jobs for residents with cars with residents who are reliant on transit. Data analysis shows that while the average New Orleanian with a car can access 89 percent of the available jobs in Orleans, Jefferson, and St. Bernard parishes in 30 minutes or less, a resident reliant on transit can access only 11 percent of those jobs in the same time period. 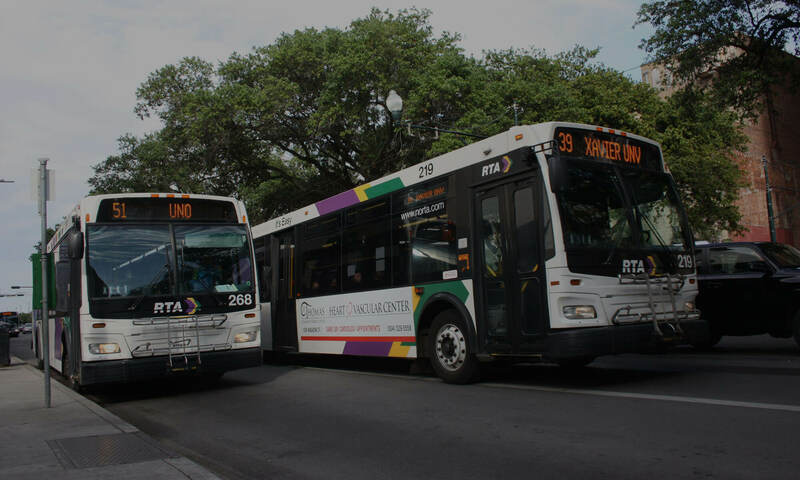 To address this, Ride New Orleans asks the RTA and City of New Orleans to commit to achieving one million total vehicle revenue hours (VRH) of service by the end of 2020. VRH – or the hours that a transit vehicle is actively serving paying customers – is a commonly used metric in transit planning. Achieving one million VRH by 2020 is very possible. It requires approximately an eight percent annual increase in service hours over each of the next four years – matching the service increases of the last few years. “We are on the right path to provide the transit service New Orleans residents deserve, but we need to commit to making this a regional priority right now,” Posorske said. He said that the RTA’s upcoming strategic planning process would be an ideal time to determine where to best allocate the increased service hours and empower a committee to look at a combination of new sources of revenue and cost-savings measures to finance it. While stressing the necessity of continued improvement, the report also praises recent progress. In April 2016, the RTA added about 11 percent additional VRH, including overnight service on eight lines, raising the total lines providing 24-hour service to nine. Early morning service was added to 15 lines. Additional weekend service was added, increasing the total amount of weekend service by 28 percent. These are critical improvements for a city like New Orleans with many jobs that have nontraditional hours. Ride New Orleans is an independent non-profit organization. Our vision is a world class, multi-modal transportation system that promotes a vibrant, healthy, and equitable New Orleans region. Our mission is to enhance the quality of life in the New Orleans region by promoting safe, convenient, and affordable transportation options. Previous PostPrevious Thank you to our State of Transit sponsors!